The presidential candidate of the African Action Congress, AAC, Omoyele Sowore, has picked Dr. Rabiu Ahmed Rufai as his running mate. Dr Malcolm Fabiyi, DG ‘TakeitBack Movement’ made the announcement in a statement issued on Monday. According to the statement, Rufai, who was born in 1976, hails from Jigawa State. 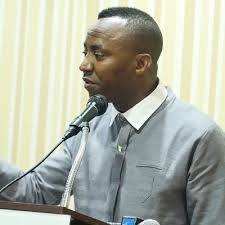 Speaking on the choice of Dr Rufai, AAC Presidential Candidate, Omoyele Sowore said, “in our bid to work on Nigeria’s multifaceted challenges and proffer solutions that will create a true giant out of our nation, we have always believed that health care, population health and health economics, ranks alongside national security and power, as critical areas that a serious government must address.